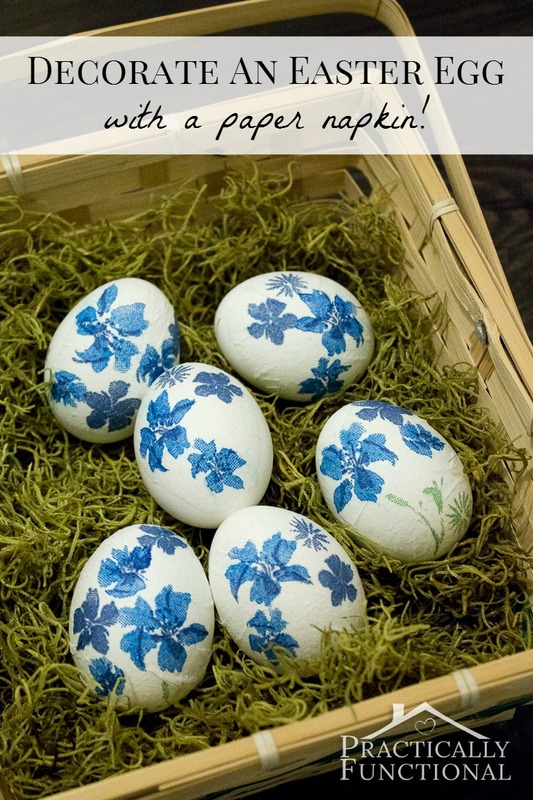 Home > Seasonal & Holiday > Easter > How To Decorate Easter Eggs With Paper Napkins! Spring is finally here! 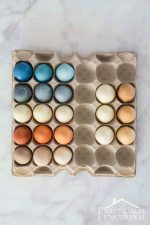 Now if someone would just tell the Chicago weather… 🙂 But warm or not, it’s officially time to start thinking about Easter, so today I’m bringing you a super simple way to decorate Easter eggs with paper napkins! Aren’t they gorgeous! They only take about five minutes to make, and they turn out gorgeous every single time! 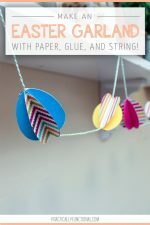 Plus they’re so simple; they’re a perfect craft to do with kids! 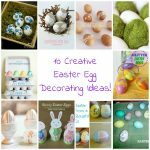 Decorating Easter eggs is my favorite Easter activity; you have so much creative license and there are so many different ways to dye, color, draw on, stain, embellish, or just plain decorate an Easter egg! 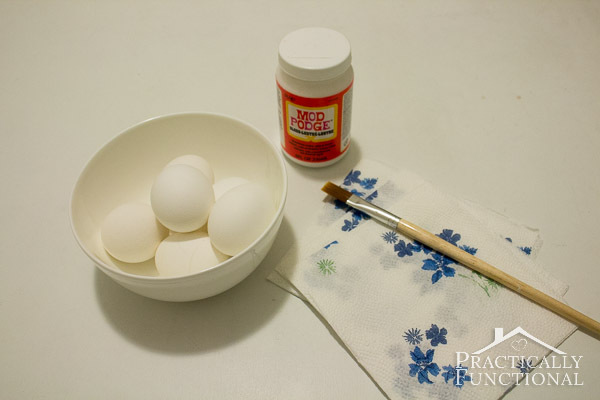 Today I’m going to show you a super simple way to decorate an Easter egg that takes less than five minutes. Plus they require zero artistic ability and turn out pretty every single time! 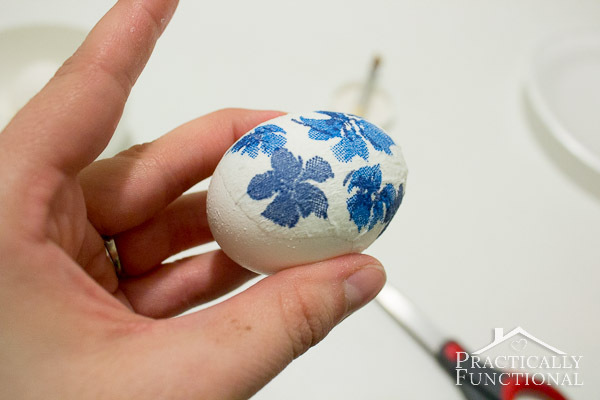 Paint a very thin layer of Mod Podge onto the egg. Then lay the section of napkin on top of the Mod Podged area, and gently smooth the design onto the egg. 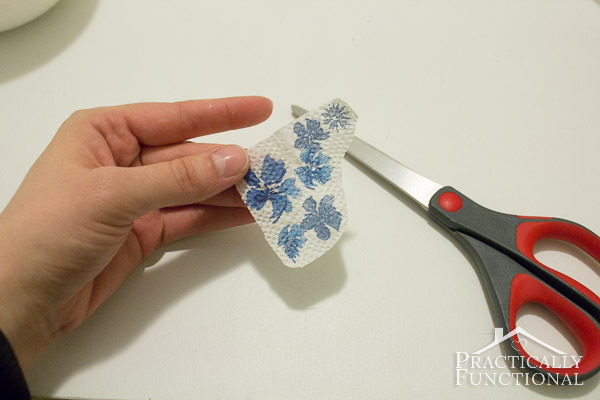 If you need a bit more Mod Podge around the edges, just paint another thin layer wherever you need it. Be careful not to get the napkin too wet or it will tear as you smooth it! 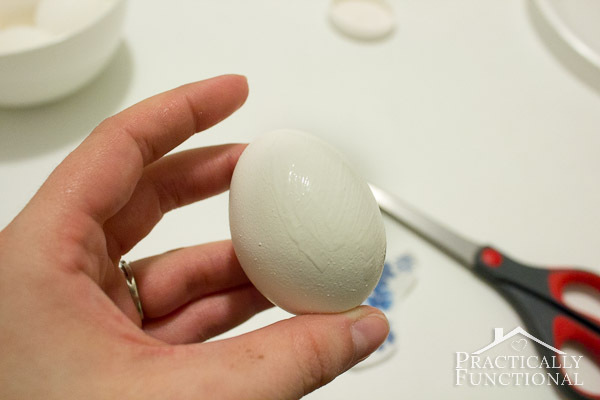 Once you have all the edges smoothed out and firmly attached to your egg, set it aside for a few minutes to dry. And you’re done! 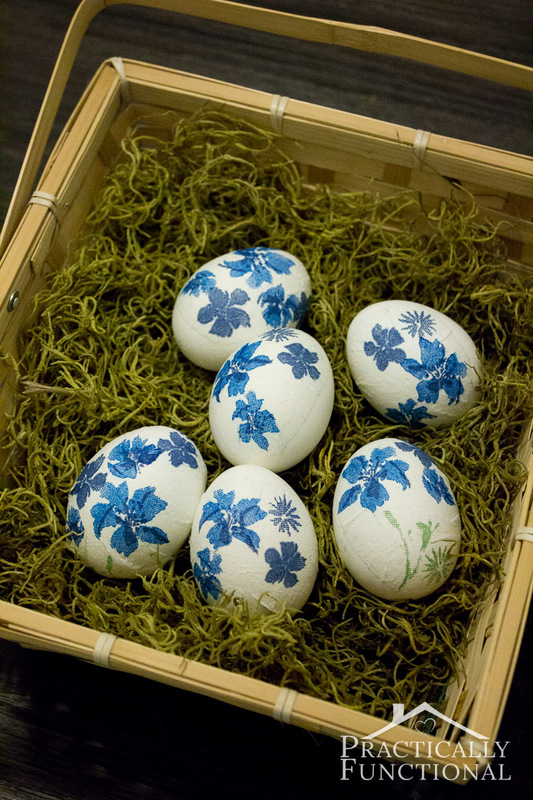 Now you have pretty Easter eggs with designs that look like they were painted directly onto the egg! 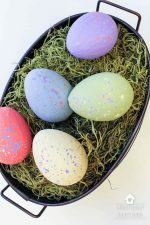 What’s your favorite way to decorate an Easter egg? « 6 DIY Spring Flower Decor Projects! 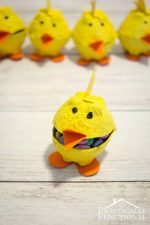 Great idea Jessi – I love these! Congrats, Jessi! Heading over now for your tutorial! Love the eggs!! Great idea. Thanks for the tutorial!! Those are so cute! Running to check the tutorial now! They look so pretty for Spring!